Sensei Scott Langley - 5th Dan JKS GB and Ireland Technical Director. Please double click on flyer to open in your image viewer. Junior / Mid Grades - The 3 Ks - Kihon, Kata and Kumite drills all mixed into an exciting programme. 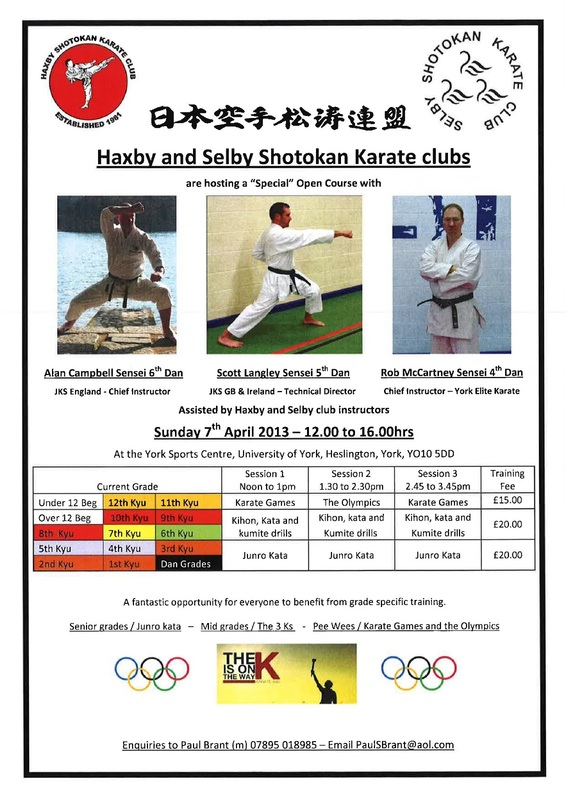 The York Sports Centre, University of York, Heslington, York, YO10 5DD.